Undead mummies are the new zombies in the final trailer for "The Mummy"
Color us officially creeped out. 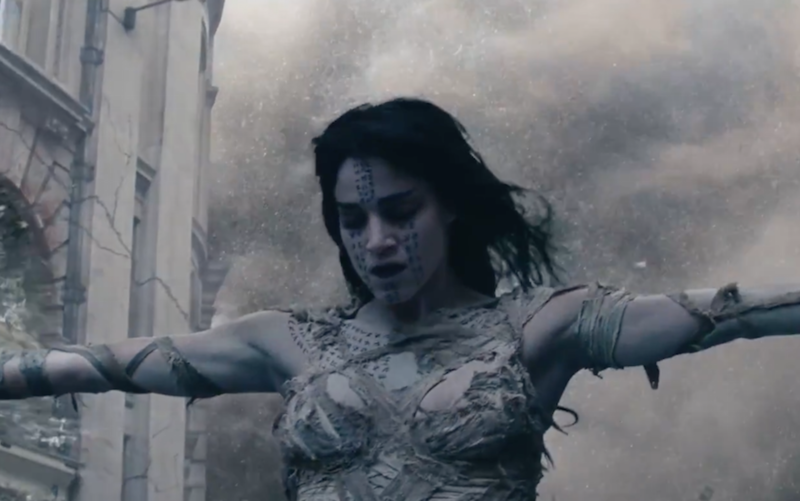 The final trailer for the newest installment of the Mummy franchise pulls out all the stops. It features a cursed Tom Cruise, a powerful ancient monster who seems totally unstoppable, and more huge action sequences than we can handle. Oh, and there are a bunch of undead mummies walking around like zombies. But unlike zombies, these undead mummies seem super strong and are set out to take down humanity. So, you know, NBD, right? Every second of this heart-pounding, mummy-filled trailer has us excited for this incredible new world. Plus, it teases that this is only the beginning of a “dark universe,” which has us even more intrigued. So because Cruise is cursed with what seems like invisibility, he’s the only one that can (maybe) save us all from ultimate destruction. But, to be honest, it’s nothing the superstar can’t handle. As if it weren’t enough to have one powerful undead monster slowly taking down all of humanity, it’s clear from this trailer that she’s got a whole army of zombie-like mummies at her disposal. So wherever Tom and his costar Annabelle Wallis turn, they’re greeted by terrifying creatures in their path. Unlike the more lighthearted and playful earlier versions of The Mummy, this movie takes itself pretty seriously. And that’s for a really good reason. Somehow, Tom Cruise’s character and his cohorts have awakened a dark evil force that wants to see the end of humanity. And that evil force seems a lot more serious than one in the 1999, Brendan Fraser version of the story. Not that we didn’t enjoy all the playfulness of those movies. The Mummy premieres in theaters June 9th. So prepare to have the heebie-jeebies scared out of you just in time for summer.